Doll's House - The Orange Living Room. 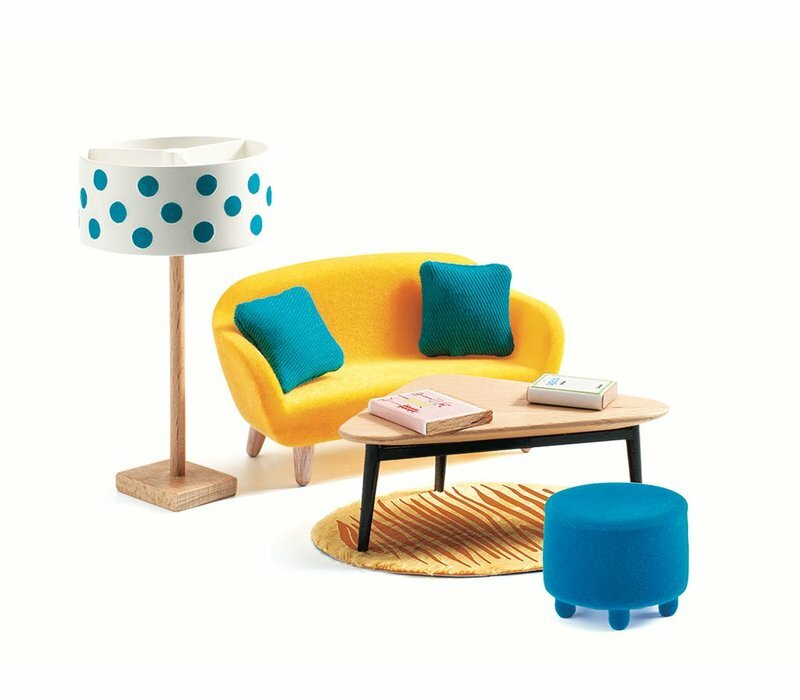 This cute and colourful dolls living room would be the perfect addition to a little ones doll house. Contemporary furniture and accessories mainly made of wood. Dolls house, furniture and dolls sold seperately. Suitable for ages 4+ years. Scale: 1:16.